FORT COLLINS, Colo.--(BUSINESS WIRE)--Jun. 26, 2018-- Advanced Energy Industries, Inc. (Nasdaq: AEIS), a global leader in highly engineered, precision power conversion, measurement and control solutions, today announced the appointment of Dr. Isabel Yang to its senior leadership team as the company’s new senior vice president and chief technology officer, effective July 18, 2018. In her role, Dr. Yang will lead the execution of the company’s global technology vision and strategy, reporting directly to the CEO. In addition to having over 20 years of industry experience, Dr. Yang holds multiple patents, over 40 technical publications and was the recipient of the Paul Rappaport Best Paper Award at IEDM for her silicon on insulator active substrate work. “With her unmatched skillset, cultivated from many years of experience in the technology industry, Dr. Yang is a very strong addition to our senior leadership team,” said Yuval Wasserman, president and CEO at Advanced Energy. In the position of CTO, Dr. Yang will evaluate emerging and new technologies which will further enable the company to penetrate new and adjacent markets and provide differentiated value to its customers. In addition, she will identify opportunities to further leverage and commercialize the company’s capabilities, as well as lead intellectual property strategies to maximize proprietary technologies. Dr. Yang will also foster continued relationships with external, global research centers and academic institutions. 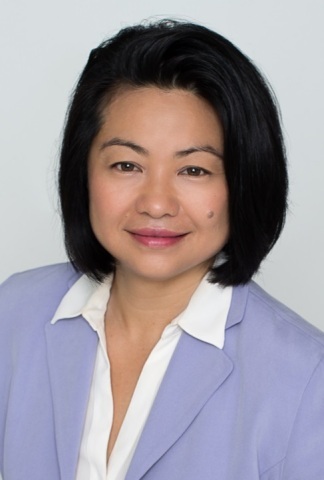 Prior to joining AE, Dr. Yang served as the vice president of strategy and operations for IBM Research, where she focused on driving leading edge innovations in such areas as artificial intelligence, healthcare solutions, and high-performance computing. Prior to her strategy role, Dr. Yang spent several years in IBM’s Technology and Intellectual Property Licensing where she formulated strategy and execution for IP asset mining and licensing across broad technology areas including software, IT services, consumer electronics, computers and networking, semiconductors, electronic materials and healthcare and life sciences. Dr. Yang’s early years in IBM were spent in the Semiconductor Research and Development Center as part of the microelectronics division.